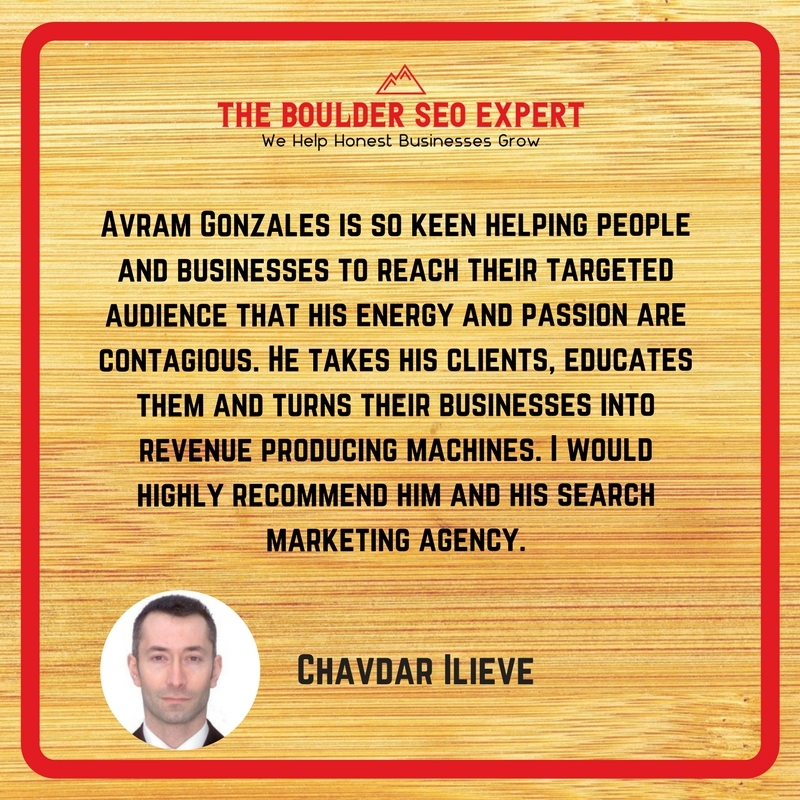 We have a unique passion for helping small and medium sized businesses here in Boulder, Colorado to get ranked, and stay there. We’re partnered directly with the #1 ranked SEO company in Chicago, IL, an extremely competitive metropolitan market; which allows us to guarantee first page rankings on Google for all of our clients. We know that’s a big promise. But it’s a promise our competition is scared to make because they don’t know what we know. 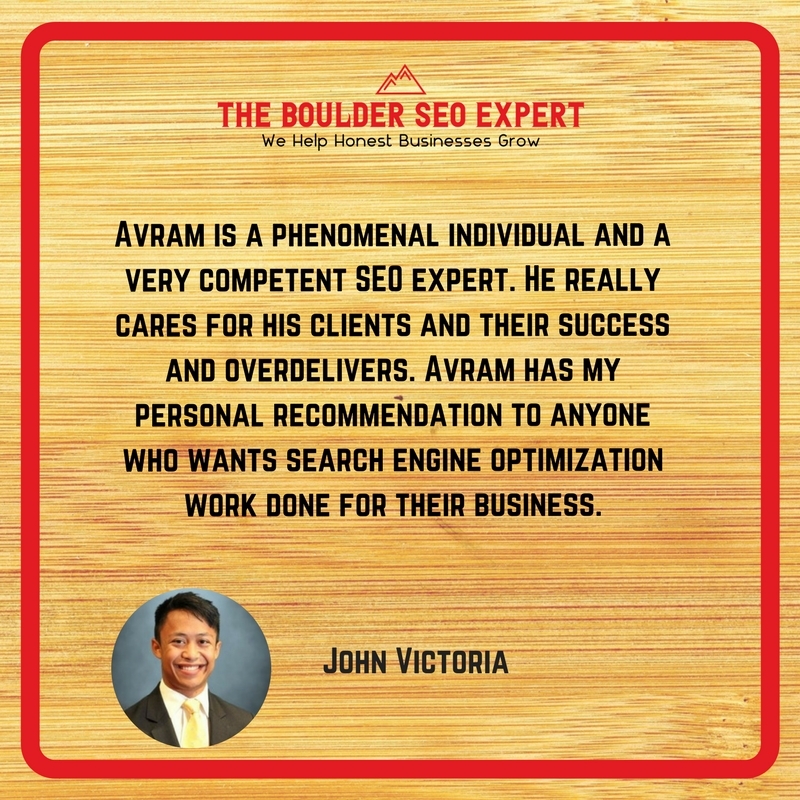 What makes us the best SEO company in Boulder, Colorado? The results and top notch customer service we provide to each and every one of our clients. 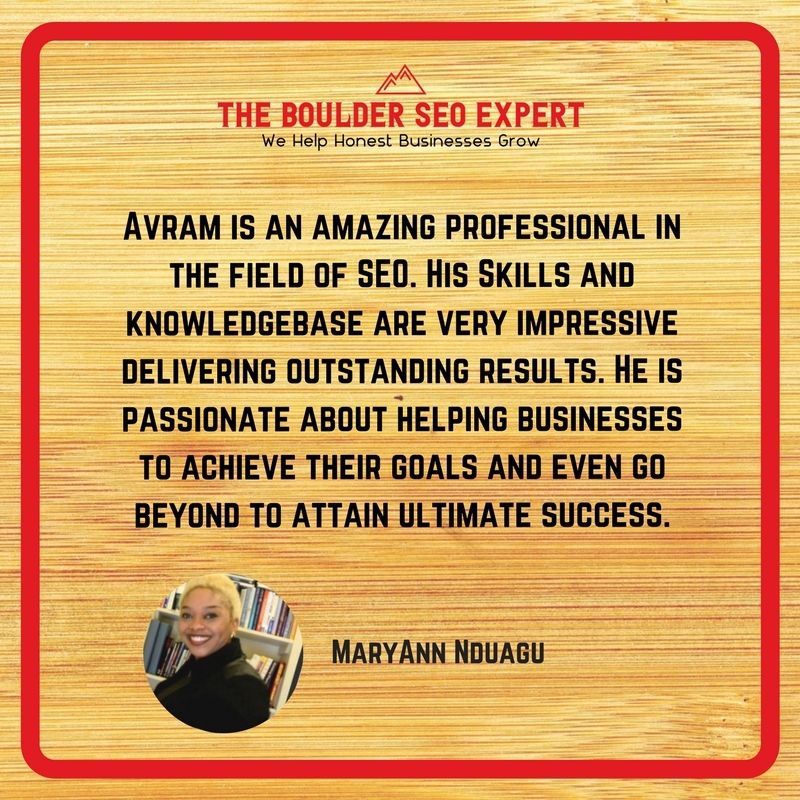 But don't take our word for it - check out the testimonials below and on this page about our SEO agency. 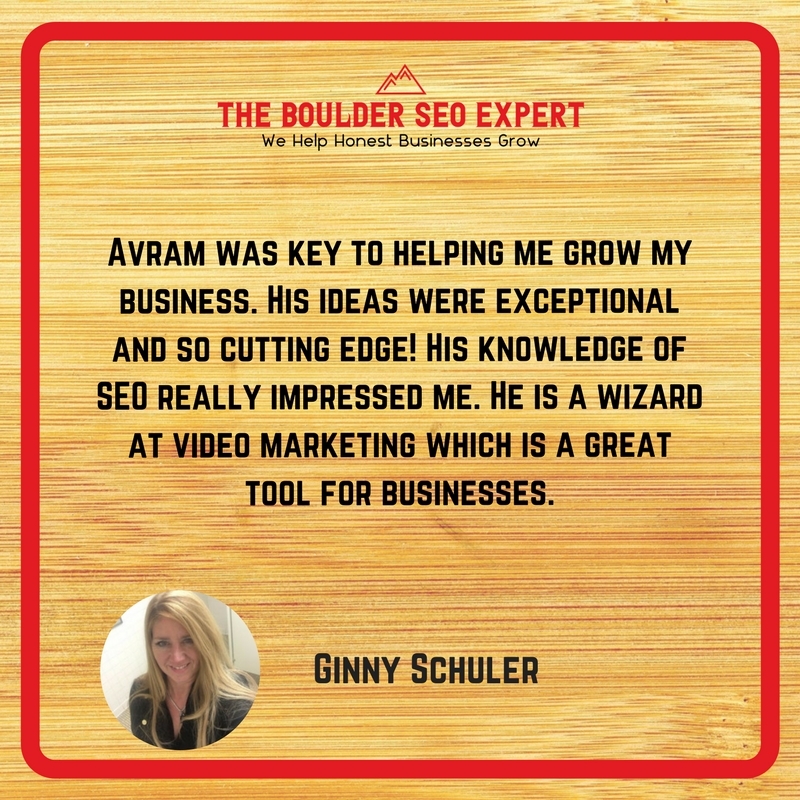 Many companies that offer Boulder SEO services are also self-proclaimed experts at web design, social media marketing, media and branding, and even Google PPC advertising. 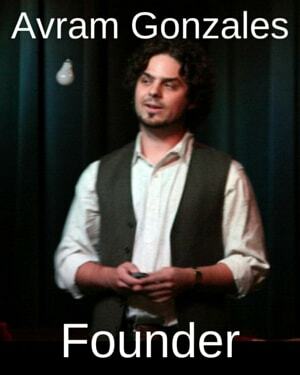 In my experience, while these marketing unicorns do exist, they’re few and far between. The companies that offer everything are often not very good at anything. We’re solely focused on and highly specialized in search engine optimization. We live it, eat it, and breathe it so that you don’t have to! If our clients require other services, we have long-standing relationships with other power players throughout the industry who are specialized in their respective areas and deliver only the best quality service and results. Our entire business model is built around the concepts described in Bob Burg’s Go-Givers and Go-Givers Sell More. It’s the idea that the goodwill you bring to the marketplace will return to you 10-fold. It just has to. If you decide that you would like SEO services for your website, and you fill out a discovery form, we’ll spend several hours researching and discovering what it would take for you to to dominate your competition. Then, we’ll turn our findings into a patented video report and analysis outlining several things you can do on your own to improve your rankings as well as what we can do on your behalf. Included in this research is a feasibility analysis, which is where we help you decide if search engine optimization even makes sense for your business, or if there’s another strategy that would work better or produce a greater ROI. Most SEO companies will take your money, go to work, and you will only hear from them when they come to collect their monthly check. This leaves you constantly in the dark wondering what’s actually happening or if there’s progress being made. 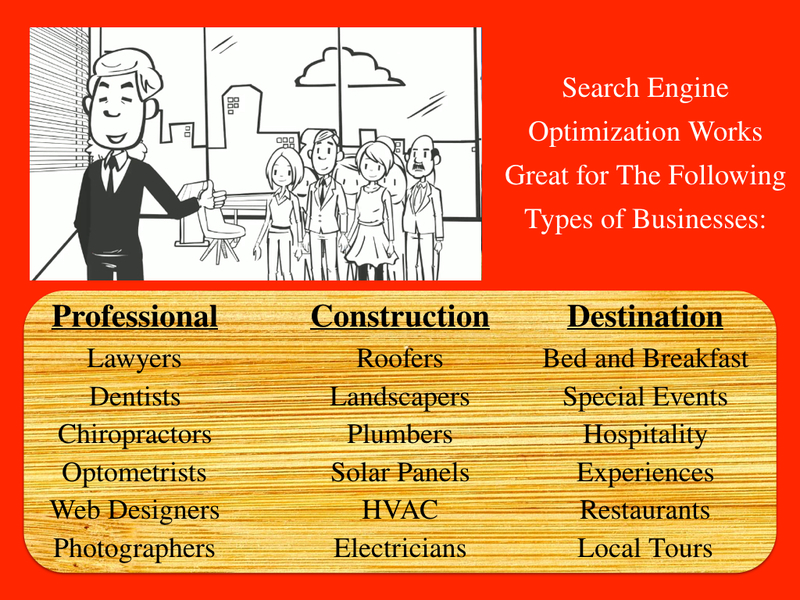 Search engine optimization is a long-term advertising strategy that takes time to reap a positive ROI so it can be nerve wracking to see the money going out, and not really knowing if it’s working. A good SEO agency will send you a monthly report letting you know what’s happening. We take things to the next level and send you daily ranking reports so you can see in real time that your search engine rankings are improving and we’re actually doing what we said we’ll do! We don't believe in long-term binding contracts for a couple of different reasons. Sometimes life happens, and you have to pivot or change plans. If you have a family member that becomes seriously ill, or your entire industry gets demolished by economic or political changes, you should have the option to opt-out, re-prioritize, and not have to worry about litigation. If the agreement no longer works for one party or the other, there’s no reason to continue. Why hold the other party hostage when it’s not working for them anymore? While we don’t do official binding contracts, we do get everything in writing so that both parties are clear on expectations and delivery. It’s just good business sense. “You get what you pay for,” couldn’t be more appropriate for what’s happening in the SEO industry. 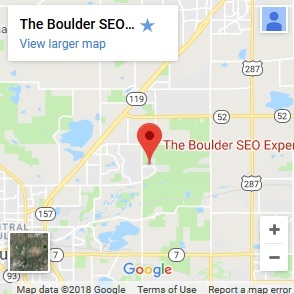 Companies in India, Pakistan, and even SEO companies in Boulder Colorado, put together ‘SEO packages’ for a couple hundred bucks a month and promise the world. Now, one of two things happens… You either get lack-luster results (if any at all), or you get short term gains from unscrupulous practices that eventually lead to site penalties and even site de-indexing (your site disappears completely from being discovered by search). 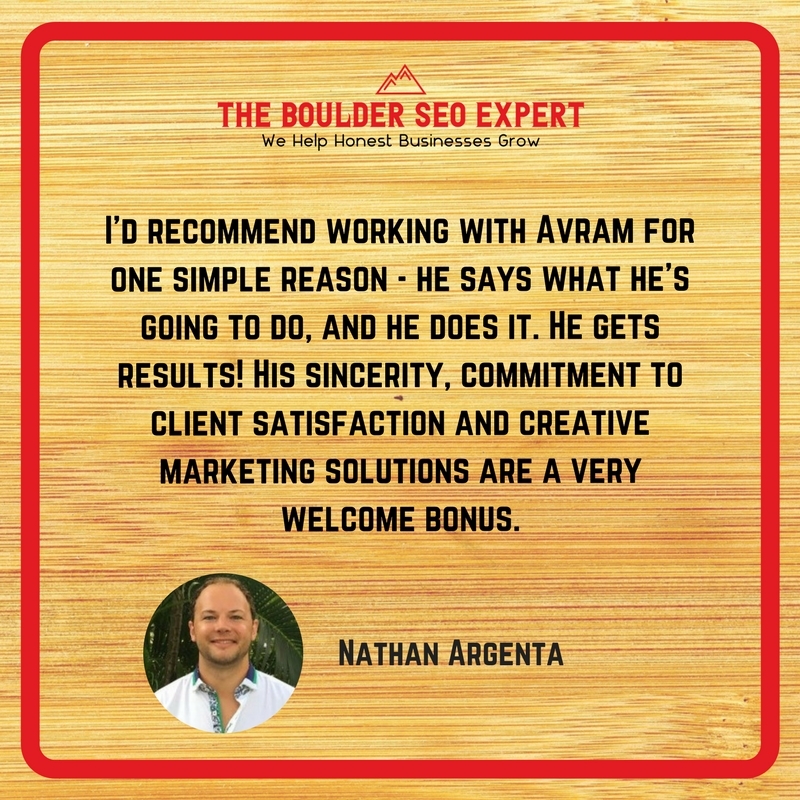 That said, any Boulder SEO consultant worth their salt knows that there’s no such thing as a one-size fits all solution. Every industry, every city, and every keyword is a totally different battleground. For that reason we don’t do packages, and every campaign is built completely custom for your business and the environment you operate within. All of our campaigns are priced so that you can expect a generous and predictable ROI on your advertising budget when all is said and done. In terms of price, we're not the Ford Pinto or the Lamborghini - but we are the Lexus of our industry. Just saying this is a little awkward, but we’ve been approached by other local SEO agencies for help with their clients and campaigns. We’ve even received offers to do white-label work for these firms. These are the supposed experts, and they want skilled SEO consultants like us to do their work for them because they can’t fulfill the promises to their clients. Crazy, right? All the work we do for our clients is completely in-house - meaning, we don’t farm out the work to any other agencies or sub-standard companies operating abroad. This allows us maximum control over campaigns, a high attention to detail, better security for you, and fast communication throughout our organization. 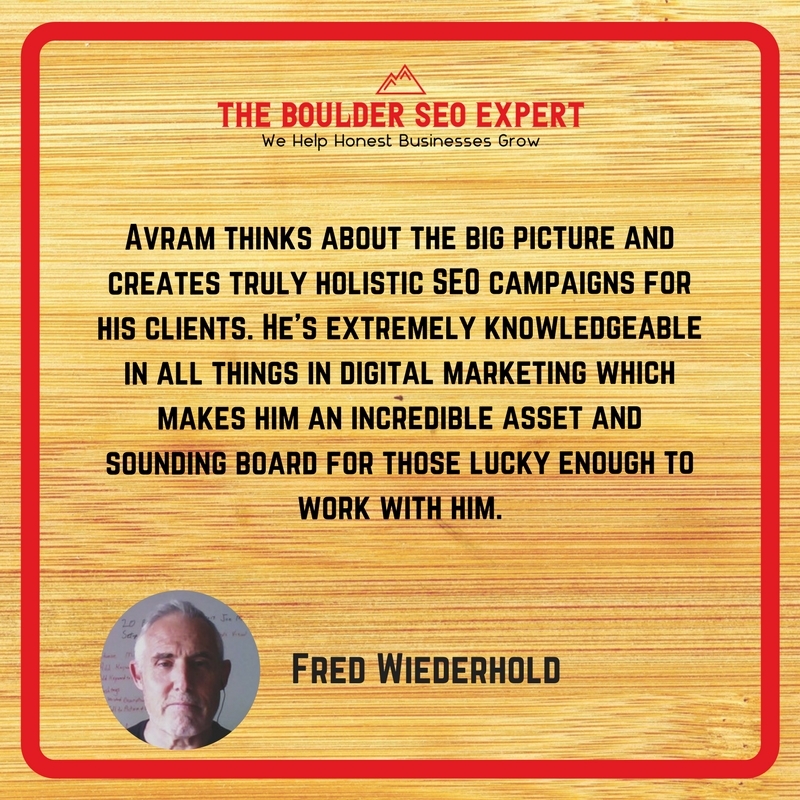 Even though we only render SEO services in Boulder, CO (and throughout the country), we have experience in almost every area of digital marketing. From creating and selling products through eCommerce, running Facebook ads for businesses in various industries, video marketing and production, creating digital education products for our customers and our customers’ customers, and even running the social media campaigns for a multi-national company spanning over 140 different countries… we’ve literally done it all. We know all the big players in all the major fields of digital marketing, including who you can and can’t trust. When we carry out the search engine optimization campaigns for your business, we take into consideration all of this knowledge so that every area of your digital presence is enhanced on every level.